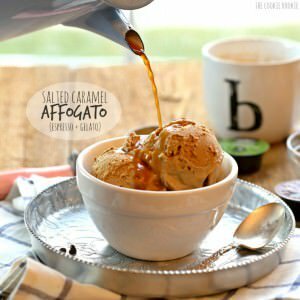 Salted Caramel Affogato is quickly becoming my go-to dessert! 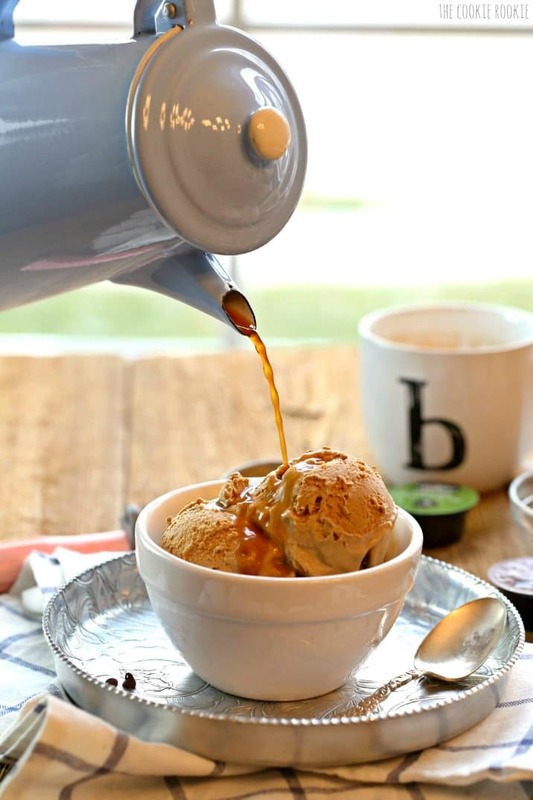 Salted Caramel Gelato topped with Espresso for the perfect (EASY) sweet treat! Today is my first official work day as a FULL-TIME BLOGGER!!! Writing that feels so strange. Can it be real?? At least for now it is. The bottom might fall out. The internet might crumble. But I’m going to try! It feels awesome. So far the animals and I are both loving it! As you may or may not know, I’m NOT a morning person. Never have been, never will be. In this case, I’m confident saying NEVVVVER. But if I’m going to treat this blog like the full-time job that it just became…there’s no time for sleeping in. There is only time for very stiff espresso. But let’s not forget that this particular morning calls for a celebration. 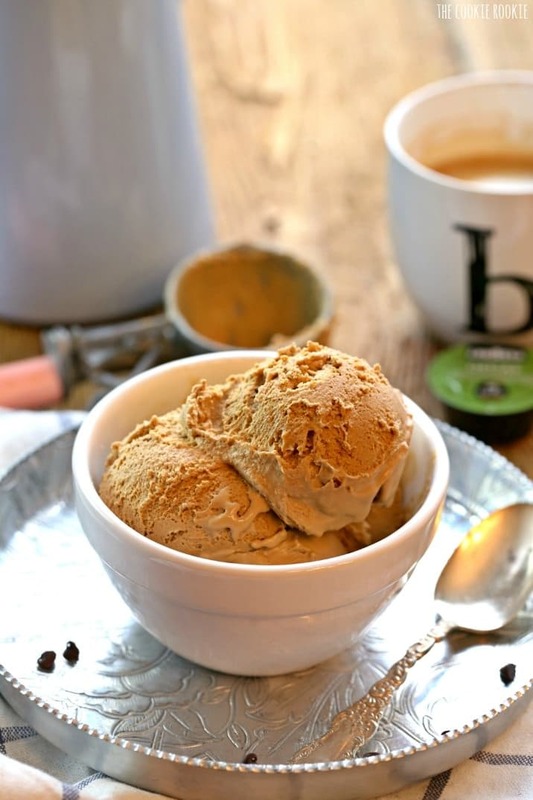 Can’t just have espresso…have to have ice cream with it too. Ice cream for breakfast…don’t mind if I do! Have you guys heard of an Salted Caramel Affogato?? Well if you haven’t tried it…today is the day. Basically it’s espresso poured over ice cream. I know, right? How have I never tried this before?? 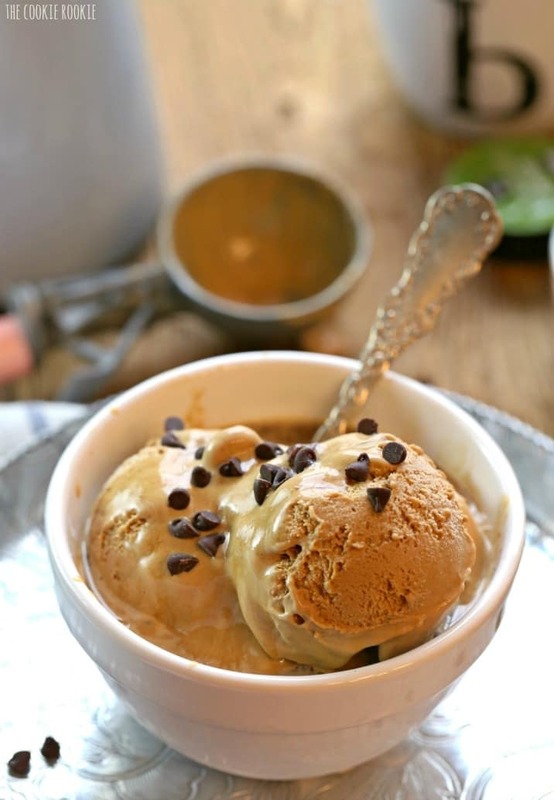 I used Salted Caramel Gelato (YES!) and espresso from my Keurig Rivo (YES!!!) and it was a HUGE success. I’m going to like this working from home gig. I might gain 1 million pounds, but I’ll love every minute of it. Speaking of my Keurig Rivo…I’m OBSESSED. It was my congratulatory “I’m going to be blogging full-time” present. Like I said…I need help getting up in the morning. We got a Keurig Vue as a wedding present, and it is one of my very favorite appliances. ALL THE OPTIONS. The NEW Rivo Brewing System makes amazing espresso, cappuccinos, and lattes. 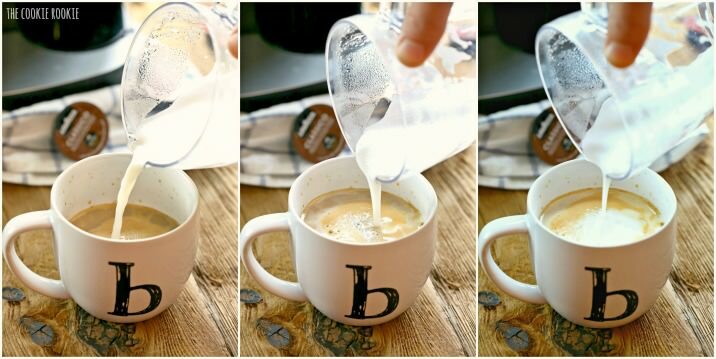 It makes frothing milk an absolute breeze. It’s truly amazing, and I plan on using it every. single. day. And guess what??? 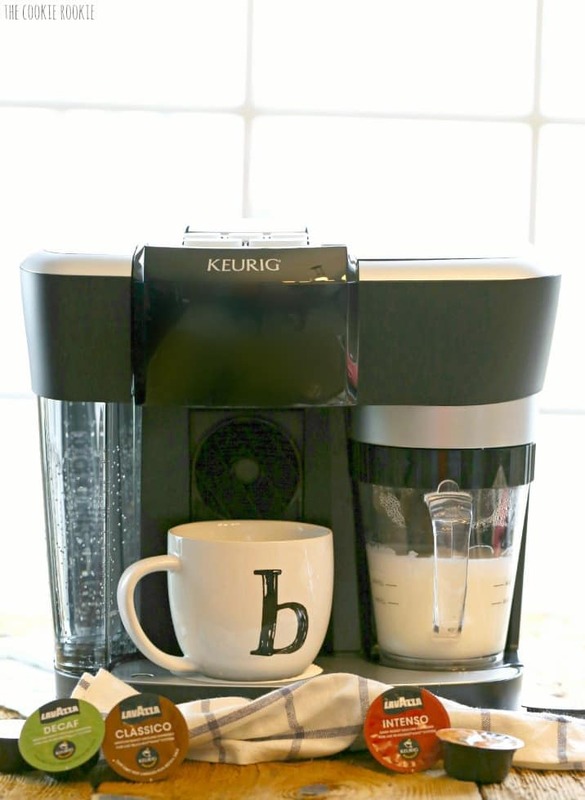 I’m partnering with Keurig to GIVE ONE AWAY!!!! I have four giveaways lined up the next month to celebrate going full-time with the blog, and this is the first (and definitely a favorite). 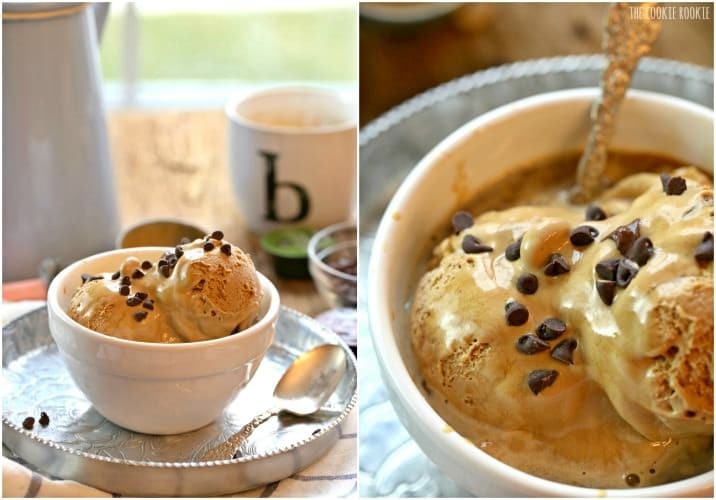 One lucky reader will get to make amazing espressos, cappuccinos, lattes and Salted Caramel Affogato at home. You will be just as obsessed as I am in no time! Being an #AtHomeBarista is ALL it’s cracked up to be! Doesn’t that just make you want to wake up early?? Don’t forget your ice cream. Worth it! Enter the giveaway through the rafflecopter below. The contest will run until January 26 (Monday) 2015 and is open to US residents only due to shipping. GOOD LUCK! 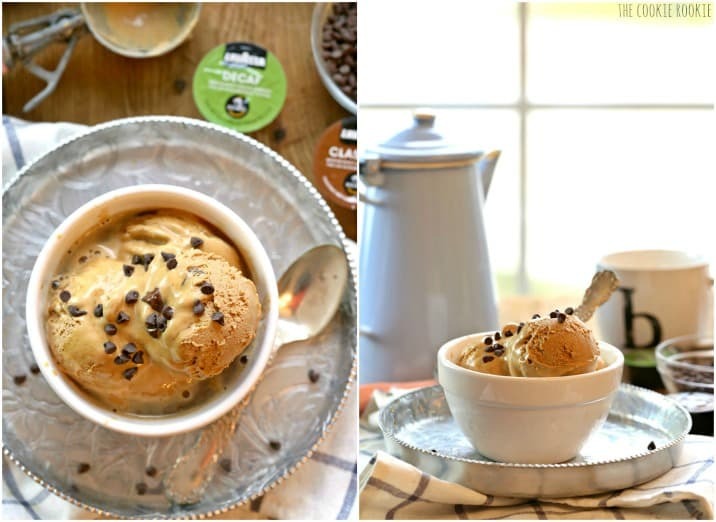 3 scoops salted caramel gelato or your favorite ice cream <-- any flavor works! 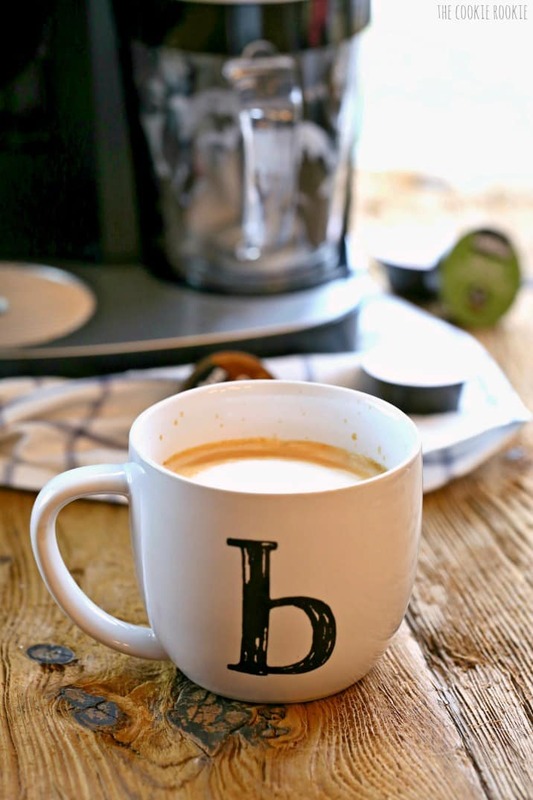 Prepare espresso in your Keurig Rivo or espresso maker. Coffee also works. 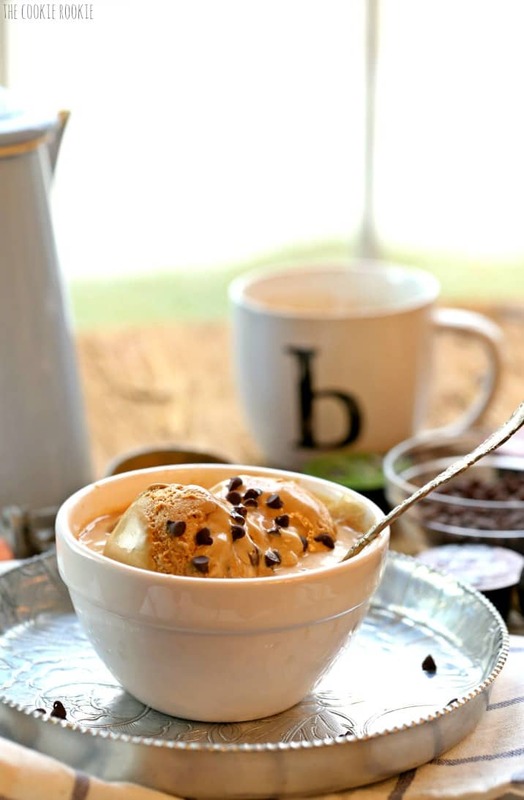 Pour espresso over gelato and top with chocolate chips. 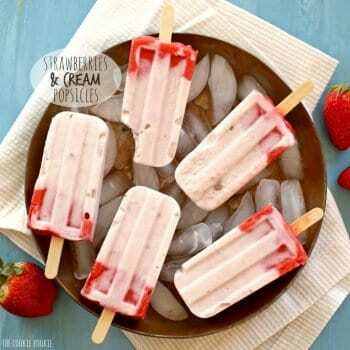 Eat quickly before it melts! I would love to work on making An Americano with some chocolate and caramel. Thanks mom :) I’ll make you on next weekend! Congratulations on being a FT blogger! 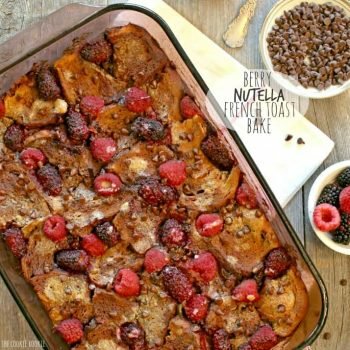 Your photos are beautiful and the trear looks delicious ! Congratulations! I look forward to seeing what you will be sharing on your new adventure!! 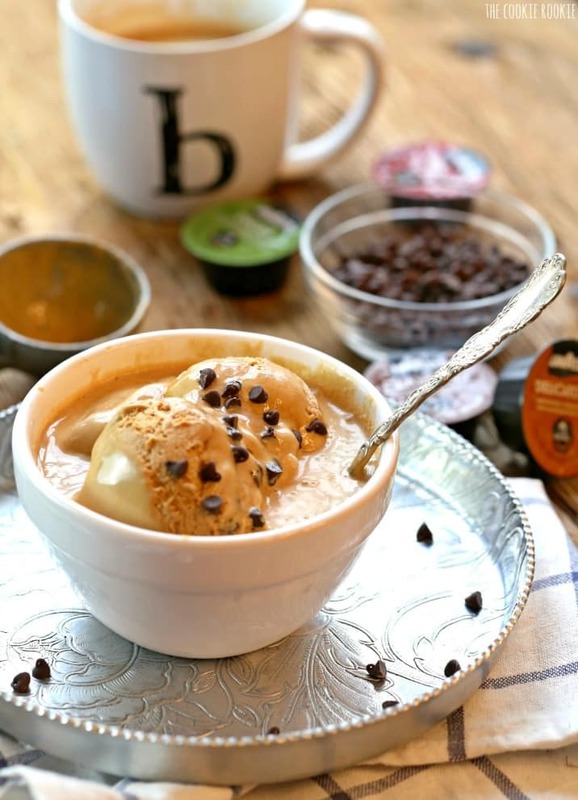 wow – that salted caramel drink looks to die for – and the Keurig – would love to win that!! I am so happy for you, and can’t wait to see what the future has in store for the Cookie Rookie. Thanks for the giveaway opportunity and for that ooey gooey yummiliscious looking creation you posted today! Thanks Sylvia, that means so much to hear!! Congratulations of your new venture. I’m glad you’re doing what you love! Loved your first blog as a FULL TIME BLOGGER !! What more can I say ? Well I can say I am so glad I tripped over your blog on my way to the cyberspace cafe. You have had some really great ideas that I have used .. Keep on keeping on and bringing those great ideas to the blog. You ROCK !!! Thank for the giveaway… My daughter has one of them there Keurig contraptions an I loved it when I visited her. YOU will do great !!!! Thank you SO much Diana, you are too sweet. And Scout loves your advice on taking her for a walk. I think that is a great idea!!!! :) Thanks so much for saying hi, means a lot! You are very welcome and just stating the truth!! I am sure Scout will enjoy the walk as much as you, clearing the mind, getting in some exercise, viewing nature at its finest.